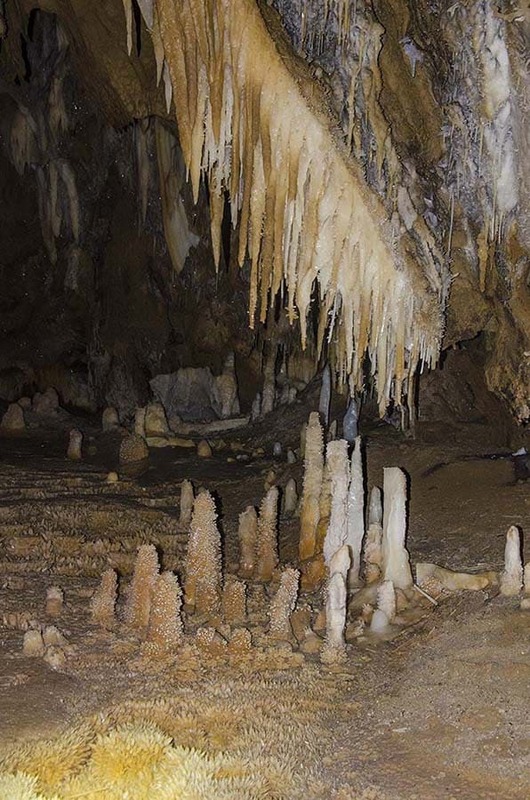 Painting in the Midi-Pyrenees – Caves. 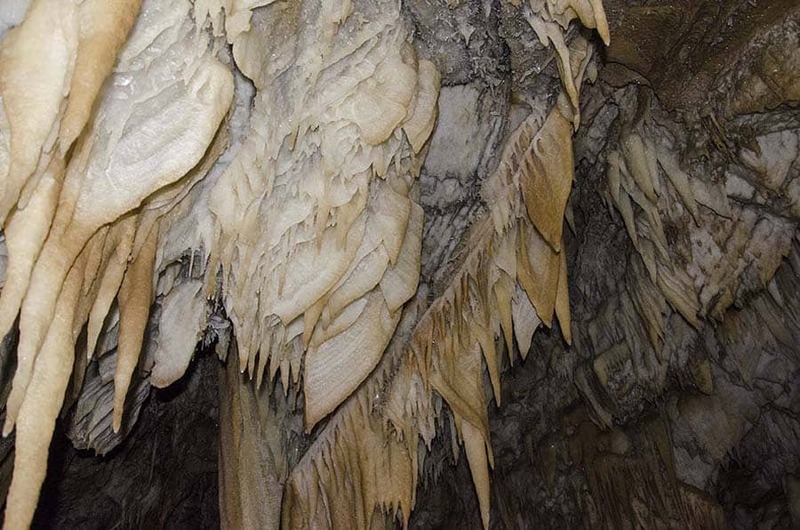 The limestone composition of the mountains means that faulting from tectonic shifting and the action of water creates caves of various sizes and types. 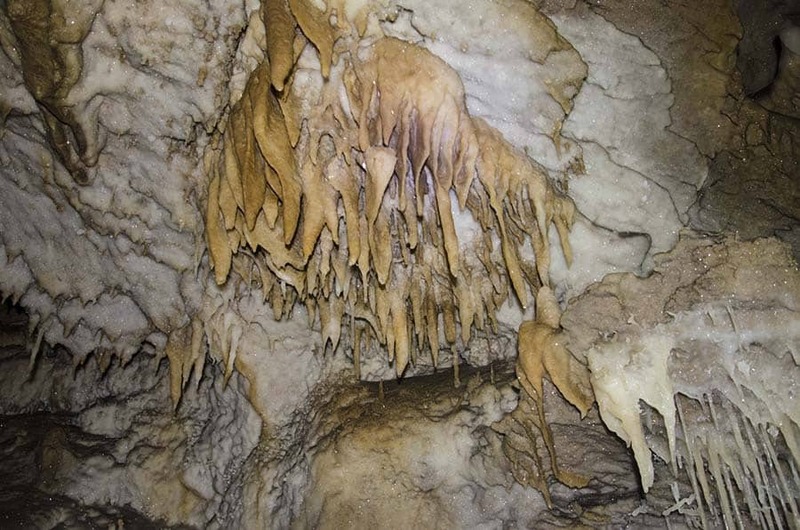 Many of these caves have been inhabited in prehistoric times and are protected, but may be open to public visits. The Niaux caves near Tarascon-sur-Ariege, are one of the few with cave paintings that can be seen in situ, not as in Lascaux where the cave is faux (a reproduction of the original). 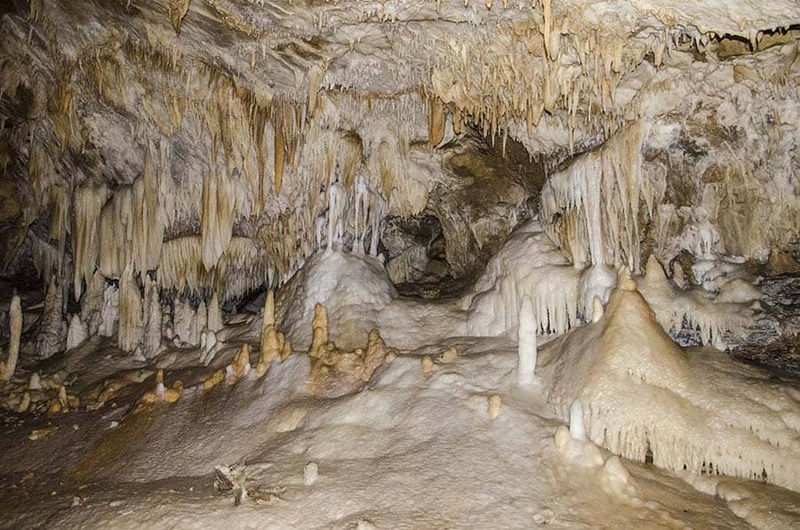 The Niaux cave is the best of it’s kind in this area, but, there are others. 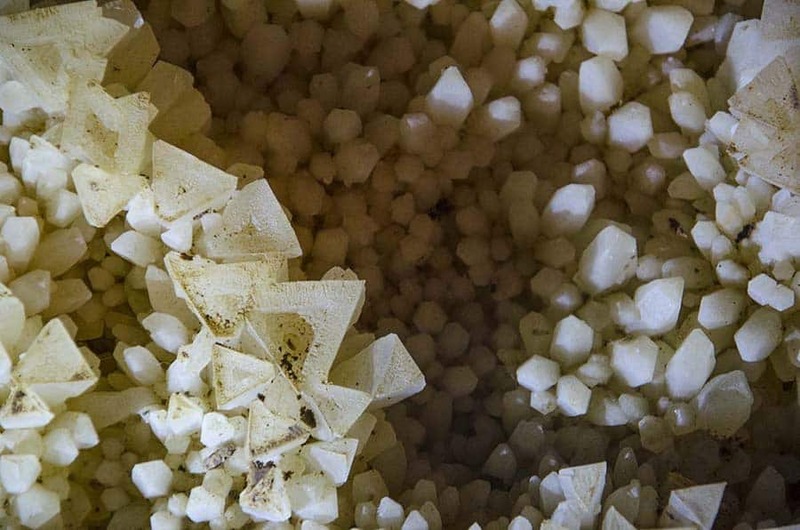 No photos are allowed in the cave, however, and the trip involves a long rapid walk to the site of the paintings and a brief time window in which to view them. Some of the terrain in the cave is difficult to negotiate. 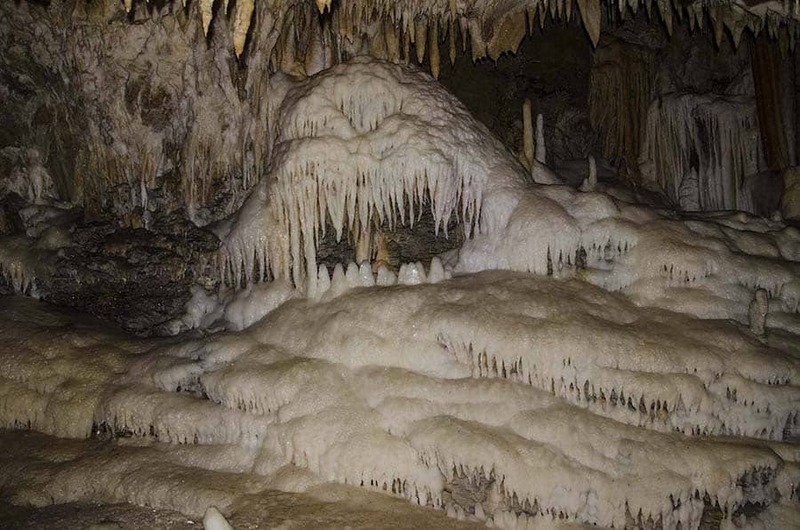 The Grotte L’Aguzou is another type of cave experience altogether. 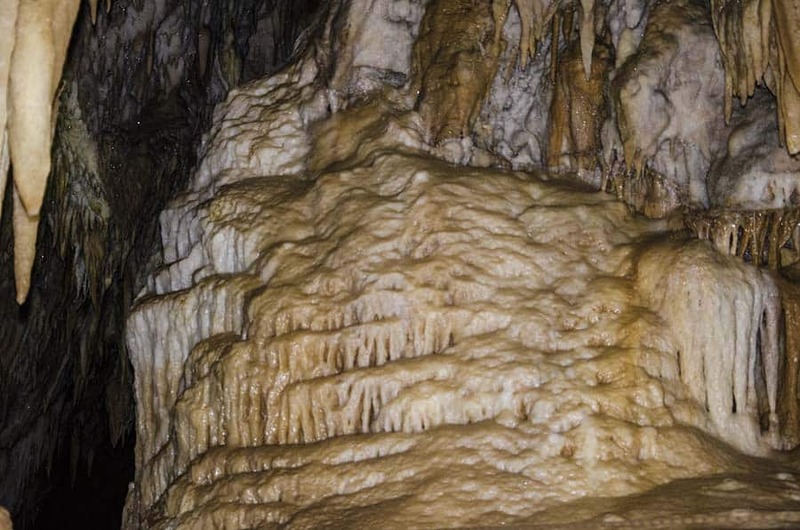 The cave is extensive and according to the conservator, Philippe Moreno, exploring the entire cave system would take more than a week. A full day, and I mean a full day, tour of the cave is worth the price, but be warned that it is difficult to traverse the cave. Some of the difficulties include the initial climb up to the cave entrance itself. 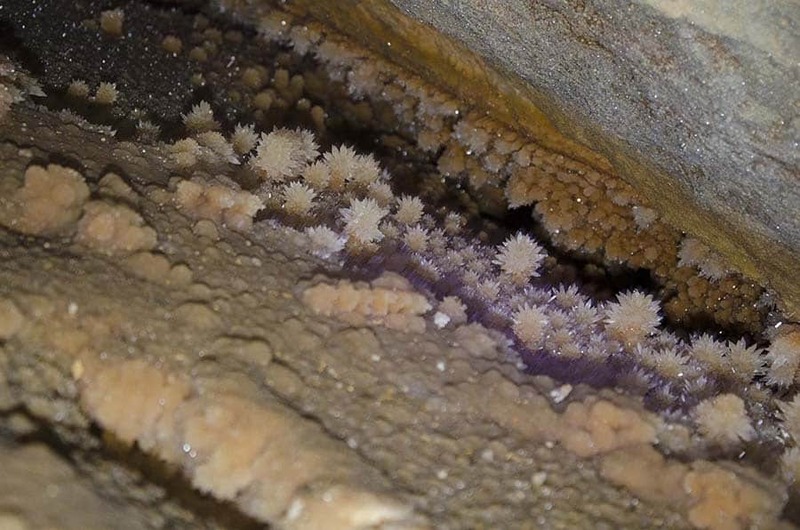 The cave is wet and floor surfaces are covered with a fine silt that makes for a slippery footing. 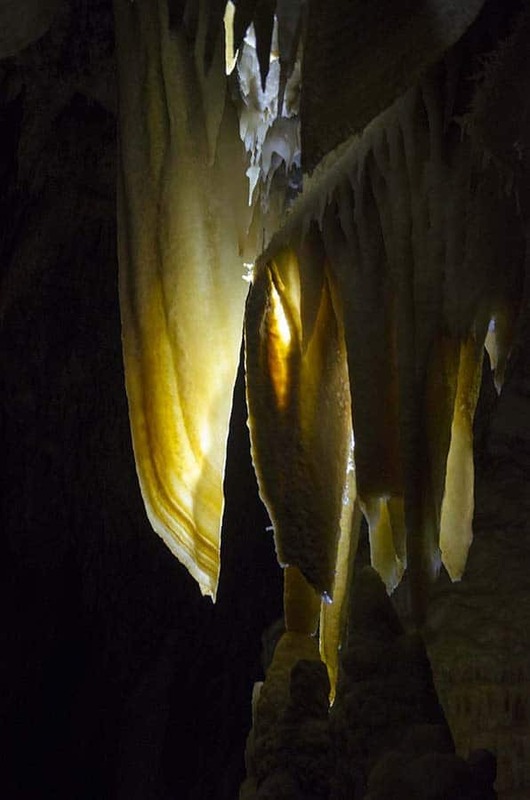 Some passages are narrow and at times one is not allowed to touch the cave walls because of the fragile crystal formations on the wall. 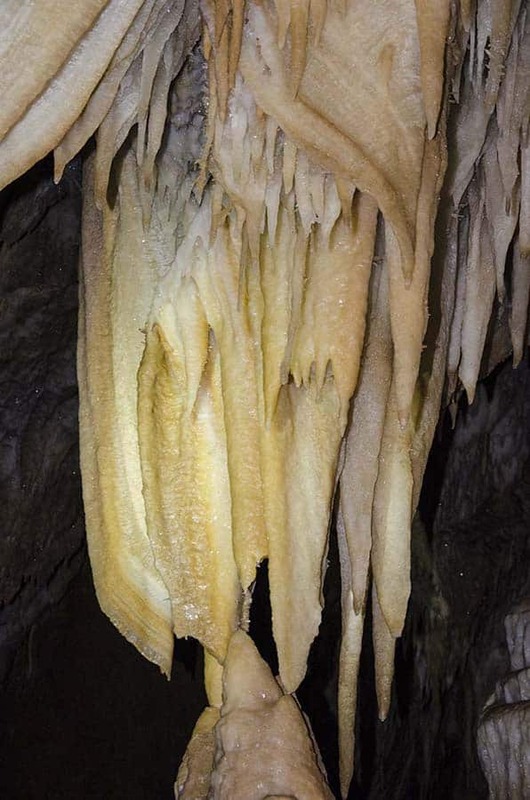 In order to get to some of the spectacular crystal formations and other features of the cave, the traverse includes narrow iron ladders, a brief rappelling down a slope by rope and other rope supported travel on tricky terrain. There is also a deep drop to be traversed via a narrow and unique ladder (think of climbing down on a semi-rigid system of iron staples) that is somewhat wobbly and steep to say the least. After all that, a brief rest and lunch are in order for the all day tour takers. With lunch over, the best part of the tour happens. 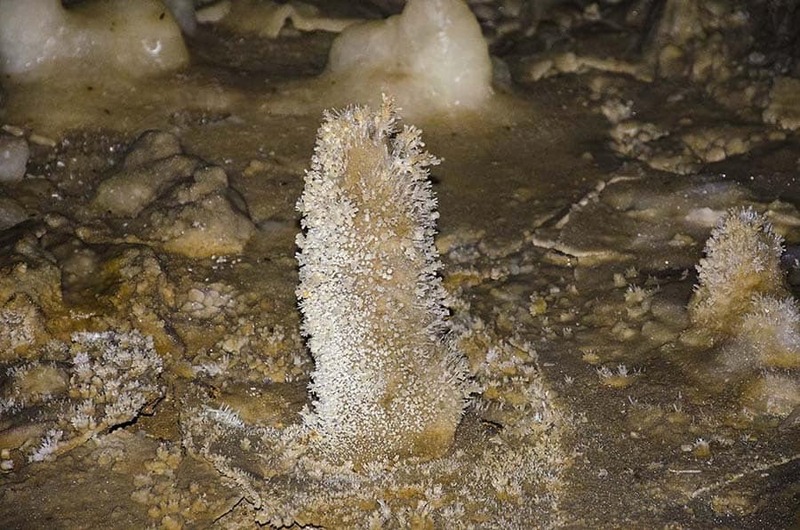 The next large cavern includes pool after pool of crystal formations, massive calcite draperies and stalactites,stalagmites and exotic and eccentric crystal formations on the walls. 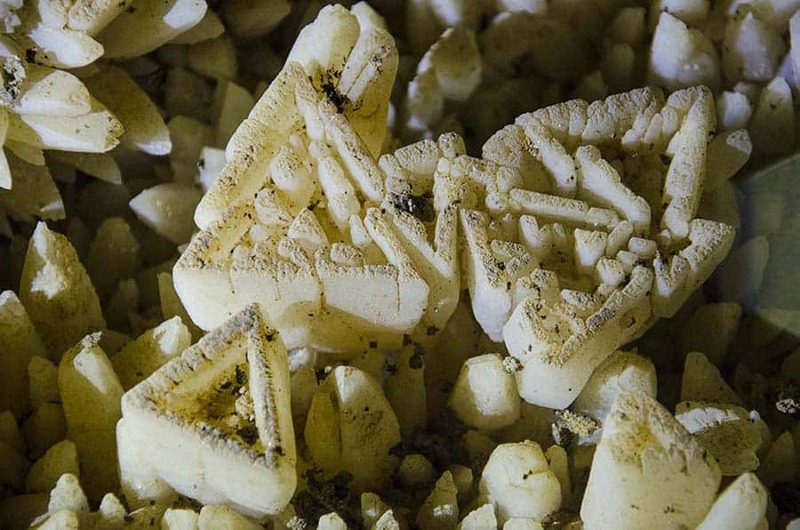 The cave crystals are formed by either aragonite or calcite. 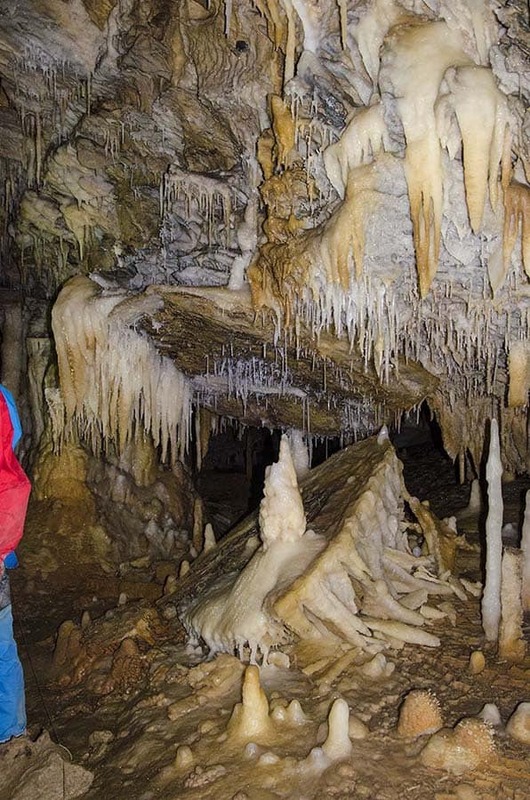 There is ample opportunity to take photos and spend time admiring the beauty of the cave. 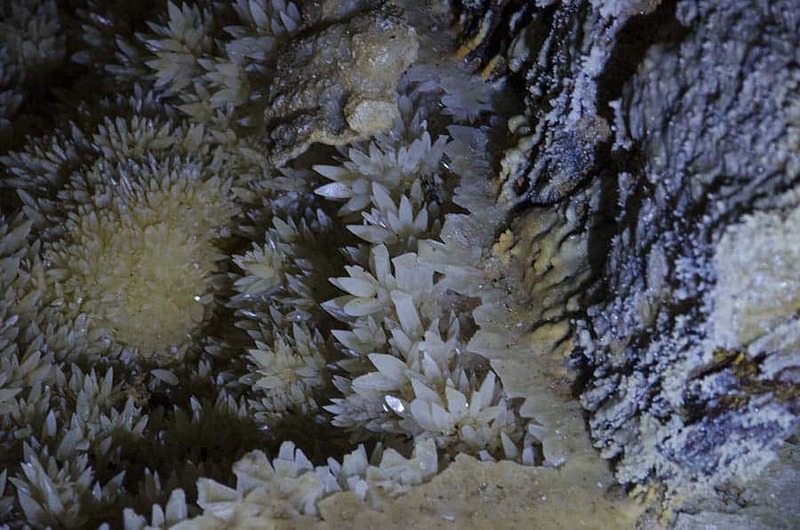 This cave system has been thousands of years in the making and is worth every effort at conservation. These photographs are fabulous!! A rich reward following the challenges you described in getting to see them. Appreciate you sharing this experience.